What it will look like when the sun consumes the Earth. There’s an end in sight. Eventually. The sky around W Hydrae, as seen in visible light. The end is coming, and we even know when: In 5 billion years, the sun, our wholesome yellow harbinger of energy, is going to swell into a red giant and consume most of the inner planets of the solar system. It will also wreak gravitational and radioactive havoc on the outer planets and moons sitting in the farther reaches of the neighborhood. We’ll all be long dead before then, of course. But we also just got a good preview of what it might look like: a new set of telescopic images recently captured another red star that once possessed the same starting mass as the sun but has now ballooned in its old age. 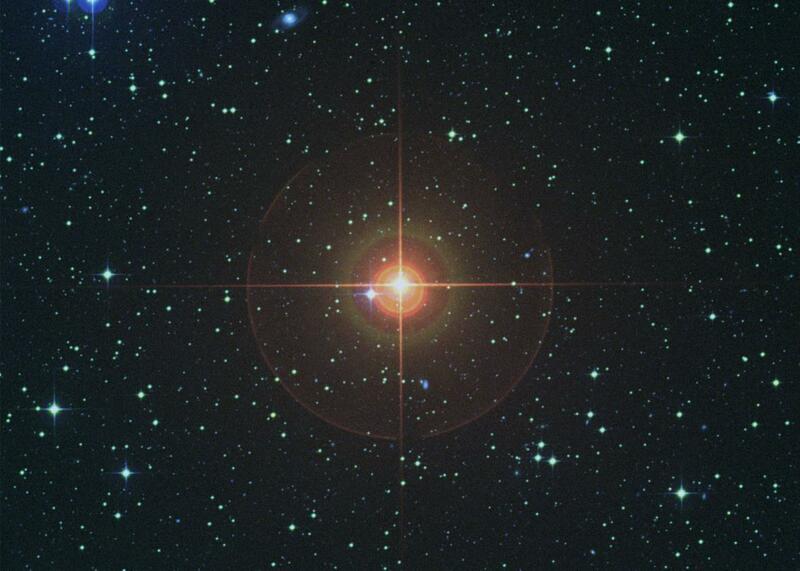 This star’s radius is now twice the length of the current distance between the Earth and the sun. And that staggering notion is also what we can expect from our own sun in the very distant future. The dotted rings show the size of the orbits of the Earth (in blue) and other planets around the sun for comparison. The system is seen at an angle. 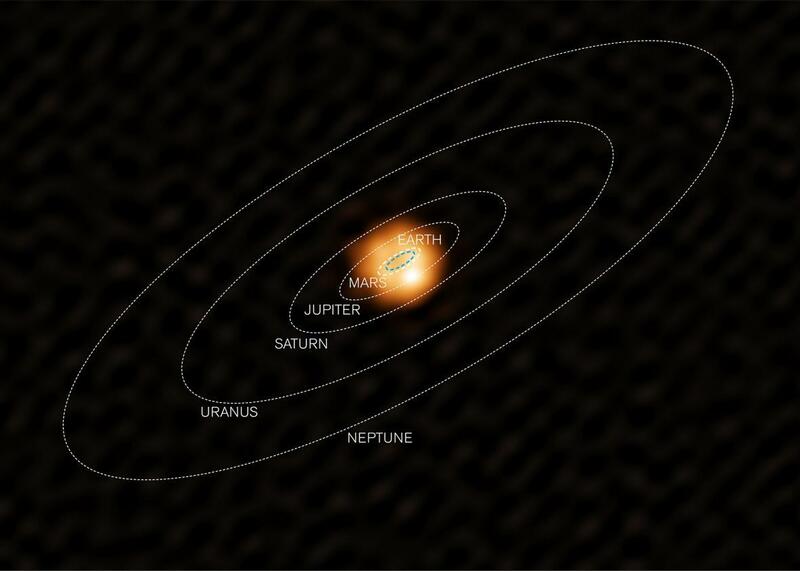 The red giant, known as W Hydrae, is 320 light-years away, located in the constellation of Hydra (the ferocious water snake in Greek mythology). The new observations, reported in Nature and taken by astronomers using the Atacama Large Millimeter/submillimeter Array (ALMA) in Chile, are some of the sharpest images yet of a sun-like star. These types of stars expand in old age, shed off mass through stellar winds, and cool off by almost 50 percent. That means if a planet in the sun’s orbit isn’t already swallowed up, it will become an extremely cold and irradiated wasteland anyway. None of that is good news for the stability of star system, especially if we’re hoping to find worlds which could be home to life. But on the plus side, red giant stars release a ton of elements into space which are then cobbled together by other aggregations of gas and energy to create new stars. They also dispel materials which could be vital to the potential habitability of other planets and moons. So besides learning more about the impending annihilation of Earth at the hands of a reddening sun, scientists want to study red giants to see what type of role they play in star formation and planetary system development. Of course, there are plenty of other things that might destroy Earth way before the 5-billion-year timer hits zero. All things considered, death by red giant would actually be a win.